With laptop marketers stepping up their efforts to beat the competition, the task of finding a budget-friendly 2-in-1 PC can be daunting if not impossible. Fortunately, if you take a closer look at the markets, you’re bound to discover quite a few awesome options some going for less than $300. Talking about cheap 2-in-1 laptops, here’s our run-down of 5 potentially great alternatives you might want to consider. Lenovo is one of the few trusted laptop brands that produce budget-friendly PCs. 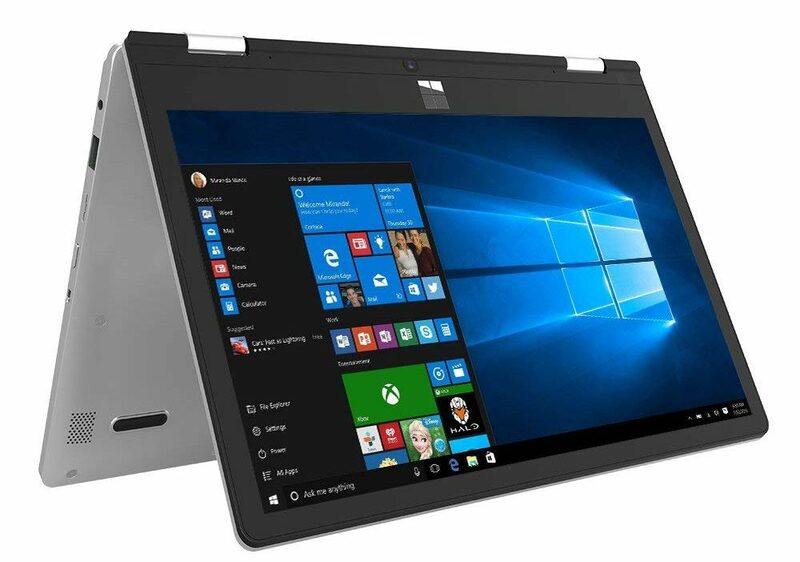 While the brand boasts a huge line of 2-in-1 computers, the N42 is possibly the best under $300 unit from them thus far. The PC is fitted with a 360-degree solid hinge that allows for easy and fast switching to different modes including tablet and notebook. In addition, it features a semi-rugged design for long-lasting performance. This makes it an excellent computer for daily use. Performance wise, the machine does not disappoint as it is powered by an N3060 Intel Celeron dual-core processor clocked at 1.6GHz processing speed. As such, completing your day-to-day tasks should not be a big hassle. What’s more? The N23 packs 4GB of memory and 32GB of eMMC storage that allows for fast booting. 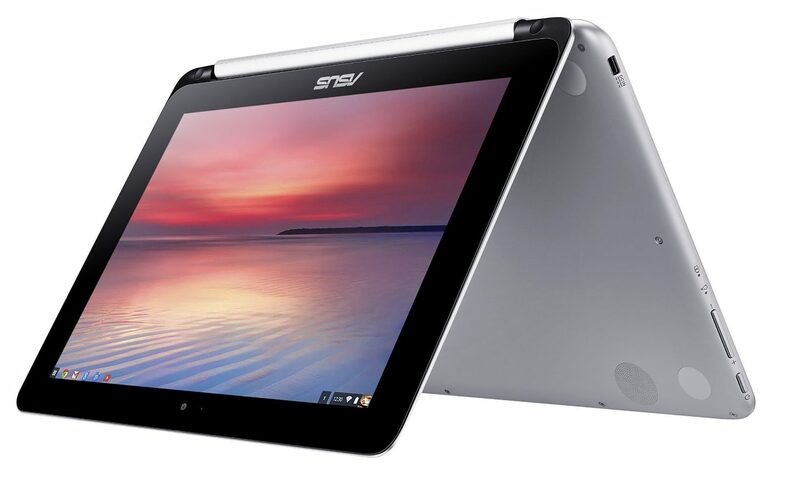 Additionally, it contains an 11.6-inch HD IPS touchscreen display with a resolution of 1366 x 769 pixels. While the touchscreen is incredibly responsive, it is not very bright but it still does provide impressive image quality. Similarly, the PC comes equipped with Intel HD Graphics for an amazing gaming experience. But wait- there’s more. 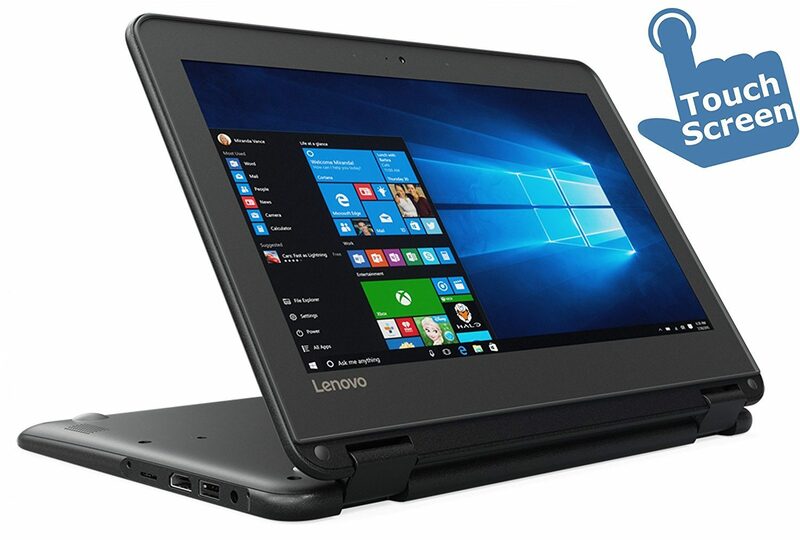 The Lenovo N42 supports Bluetooth 4.0 wireless and 802.11ac WiFi connectivity for faster and uninterrupted connections on the go. Further, it includes a USB 3.0 port, two USB 2.0 ports as well as an HDMI port so you can connect the PC to a host of devices and peripherals. As if that’s not enough, the machine incorporates stereo speakers that offer amazing sound quality along with audio/mic jack. More importantly, it is integrated with HD webcam coupled with dual microphones for ease of video calling on Skype or other applications. 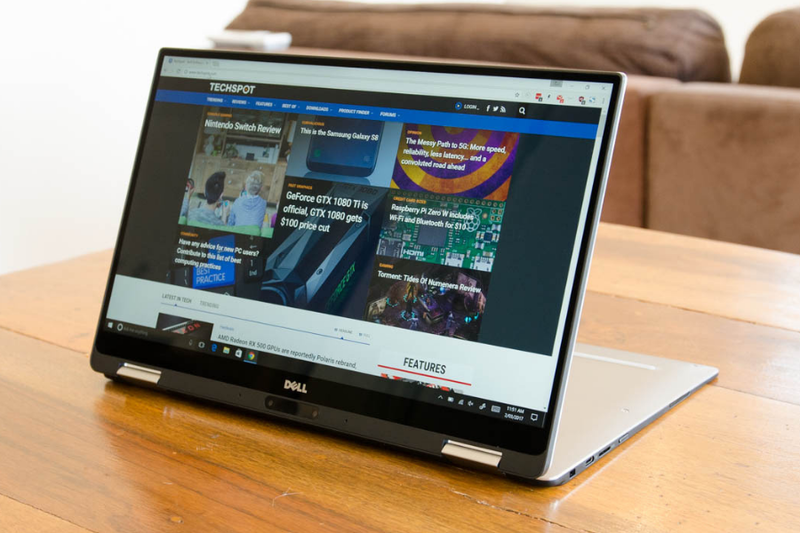 Powered by an AMD A6-9220e 7th Generation processor coupled with 4GB of DDR4 RAM, the Dell Inspiron 3000 boasts robust performance. Consequently, it works smoothly both when multi-tasking and browsing. Similarly, the PC employs 32GB of eMMC SSD which is a decent amount of storage capacity for the price. Moving on, the computer includes a host of connectivity options including 802.11bgn WiFi and Bluetooth 4.0. On top of that, there are two USB 2.0 ports, one HDMI port, one USB 3.1 port, and a micro SD Card reader. Therefore, connecting the PC to other peripheral devices for ease of data transfer should not be an issue. What’s more? 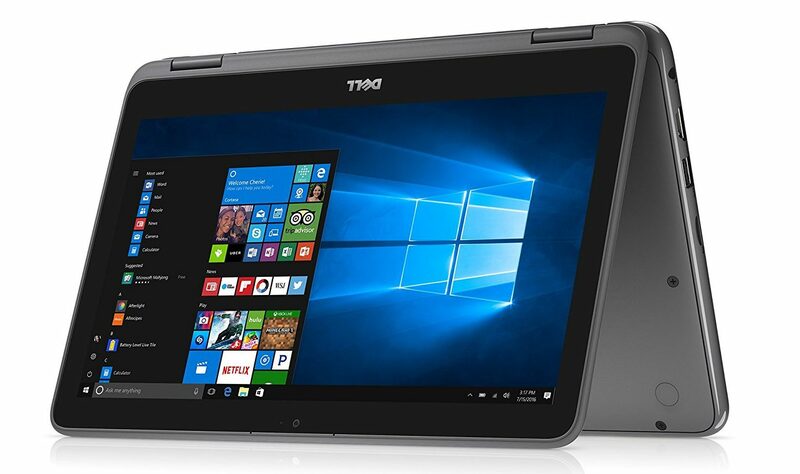 The Dell Inspiron 3000 is outfitted with an 11.6-inch HD touch display with a resolution of 1366 x 768 pixels. Overall, the display offers decent clarity and boasts LED-backlit function to allow for a bright visual experience. Thanks to its AMD Radeon graphics, the PC makes for a great 2-in-1 computer for everyday computing needs as well as light gaming. Additionally, it incorporates a widescreen HD webcam that offers a basic 720p video output. The webcam provides a seamless video calling experience making the machine ideal for holding meetings and conferences. Next up on this list of best 2-in-1 laptops is the 2018 Newest Asus that packs tons of great features in its slim design. It features a flexible and solid 360-degree hinge that allows you to use the PC in stand or tablet mode. At only 2 pounds, the machine is very lightweight and compact for convenient portability. Beyond that, it runs on an RK3399 Rockchip Intel Celeron processor clocked at 1.6GHz that delivers high-efficiency performance for day-to-day tasks. On top of that, the PC employs 4GB of LPDDR3 memory that makes running multiple applications or browser tabs all at once a smooth experience. Further, the device boasts 16GB of eMMC flash memory that ensures better storage capabilities as well as fast boot-up times. Also, it is integrated with a media reader that supports different card formats for ease of photo transfer. In addition to that, it contains a touchscreen display for convenient hands-on-control with a resolution of 1280 x 800 pixels. The display is also equipped with IPS technology to allow for enhanced wide-viewing angles. Also included with the PC is an HD webcam and microphone that makes video chatting or teleconferencing over popular applications possible. Under the hood, the computer is fitted with two USB Type C ports and one USB 2.0 port designed to help you optimize performance on the latest devices. More importantly, it is Bluetooth and WiFi compatible so you can wireless transfer media files from the PC to other devices. If you are a fan of extremely lightweight PCs, this XIDU PhilBook makes for a nice investment. It only weighs 2.42 pounds and has a super thin design that can stand up to just about anything. Therefore, you can easily slip it in and out of backpacks and cases for carrying convenience. When it comes to connectivity options, the PC has a limited number of ports. Basically, you will only get one mini HDMI port and two USB 3.0 ports. It also includes a headphone jack and a micro SD card slot so you can expand its storage capacity. As if that’s not enough, it supports Intel 802.11b/g/n Wi-Fi designed to deliver broader coverage and faster internet access. Similar to other computers in this guide, it also allows for Bluetooth 4.0 connectivity. As far as its overall performance is concerned, the XIDU PhilBook comes equipped with a Z8350 Intel Atom Quad-core processor along with 4GB of DDR3 RAM. Therefore, you can enjoy a seamless performance without too much lag while multi-tasking. Further, it packs 64GB of eMMC internal storage which can be expanded so you have extra free space. What’s more? It features a full HD display that is considered to have 41% more pixels compared to a regular HD display. Consequently, the display delivers more life-like images as well as sharp and vivid text. On top of that, the display boasts a 10-point multi-touch function that allows you to effortlessly scroll, zoom and swipe the screen for more apps, images or web pages. 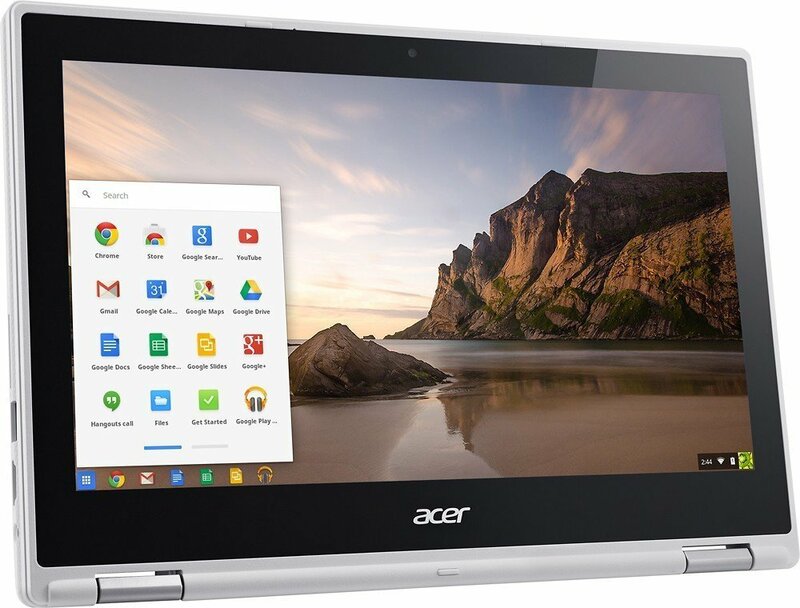 Featuring an 11.6-inch multi-touch display coupled with a 1366 x768 HD resolution, the Acer R11 delivers a superb display. Picture this – the machine boasts LED backlight and IPS technology which allow for wider viewing angles. Besides that, the Acer R11 comes with a scratch-resistant Corning Gorilla glass which provides it with the much-needed power to withstand minor impact. To top it all up, the PC is powered by an N3060 Intel Celeron dual-core processor and 4GB of DDR3L RAM. As such, when it comes to basic multi-tasking and day-to-day tasks, it delivers smooth performance with minimal fuss. It also offers a decent amount of storage capacity with its inbuilt 16GB flash memory. What is more, it is integrated with multiple ports including one USB 3.0 port and one USB 2.0 port for ease of transferring data. An HDMI port also comes in handy to let you expand your viewing options via the latest and high-speed devices. Additionally, the PC has a built-in media reader that is capable of supporting various SD card formats for simple media files transfer. In addition to that, it allows for 802.11ac WiFi and Bluetooth 4.0 connections. You will also get a headphone/microphone combo jack. The Newest Acer R11 comes equipped with Intel-HD Graphics 400 that allows for some light gaming making it perfect for casual gamers. It also incorporates an HD webcam coupled with a microphone so you can effortlessly make Skype calls. Whether you need a 2-in-1 laptop for office work, light gaming or school assignments, all these PCs have the potential to give you a boost. And although they may not have the mettle to rival higher-end models, they still pack some great features. So, don’t let your budget limits slow you down – go ahead and grab yourself a machine that best suits your current needs.